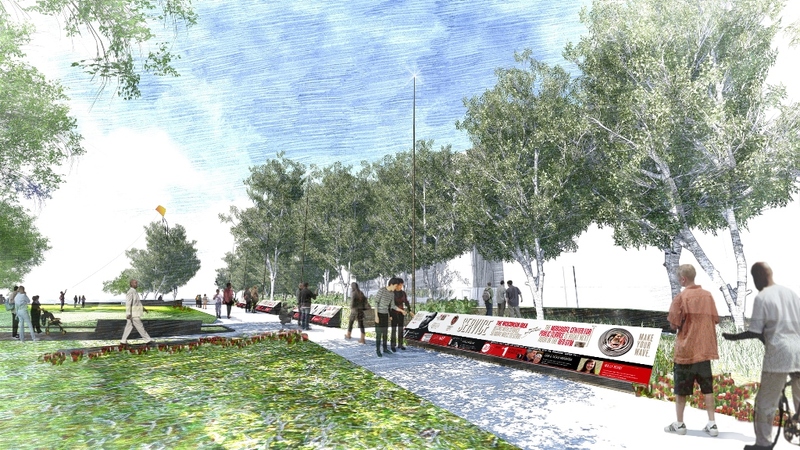 Just as the soon-to-be newest class of University of Wisconsin–Madison alumni readies to graduate and partake of traditions like sitting on Abe’s lap to have photos snapped, the Wisconsin Alumni Association announces the opening date for Alumni Park. This new green space between Memorial Union and the Red Gym, hugging the shore of Lake Mendota, will officially open to campus and the community Friday, Oct. 6. The date was chosen so Alumni Park could participate in the city’s fall Gallery Night (presented by the Madison Museum of Contemporary Art) and showcase the work of artists and makers — including local artisans — who contributed to the design of the park. The park, with more than 50 museum-like exhibits woven through gardens, plus a visitor center, is believed to be the first Alumni Park of its kind in the country. Details on the opening event and milestones leading up to it will be added to AlumniPark.com throughout the summer months. An extensive media-rich version of the site offering a deeper dive into park content also launches Oct. 6. “This is more than just a beautiful park, although it is that. It’s a place for alumni, students, campus and community to be inspired by alumni who’ve used their UW–Madison education to change the world, and a place to tap into that innovative spirit in our own lives,” says Paula Bonner, Wisconsin Alumni Association president and chief alumni officer. Bonner says the experience WAA has so carefully crafted for park visitors is a much-needed reminder of one of the deepest traditions of the university, the Wisconsin Idea. The park’s design also plays into the affinity students and alumni have for more lighthearted traditions that are Madison’s and Madison’s alone — from rubbing Abe’s foot for good luck to sledding on cafeteria trays down Bascom Hill — through exhibits that showcase UW icons and traditions, and are sure to spark new traditions once the park opens. 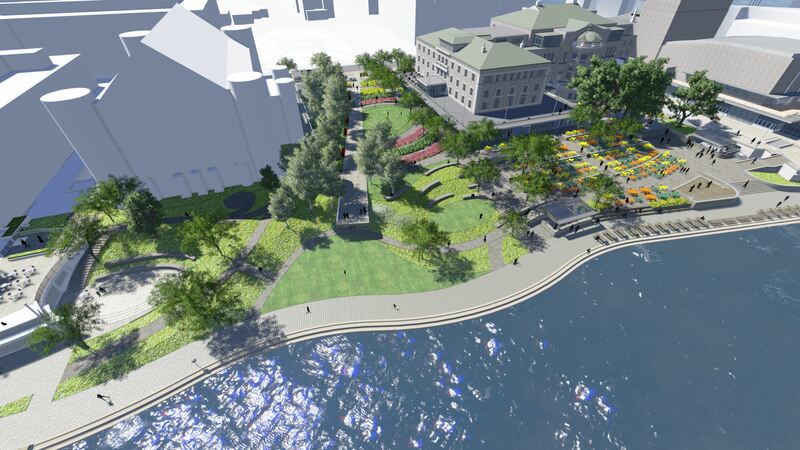 The association is eager to establish the park as another must-visit destination in Madison. The grand opening on Oct. 6 will also serve as the official kickoff for an “opening season” of events throughout the fall, all of which will be open to the public. Calendar updates may be found throughout the summer at AlumniPark.com.